Instructor Jeff Christen from Cornell University had his own assignment – develop a Masters-level course through Cornell’s Information Science Department on “Business Intelligence (BI) Systems,” in only three weeks. The goal of the class was to give students a solid foundation and understanding of BI concepts including dimensional data modeling, ETL design, and data visualizations. With a short turnaround time, Jeff worked with Marty Sullivan, Cloud Engineer at Cornell, to come up with a plan to determine how to have a hands-on learning experience for this pilot course. In an effort to avoid support issues, get students up and running on day one of the class, and provide the flexibility needed for the modern student, Jeff and Marty chose Amazon WorkSpaces for the pilot course. Each student had their own Amazon WorkSpaces with Oracle SQL Developer, the WhereScape RED ETL tool, and Tableau desktop installed. Once the software packages were installed and configured in the WorkSpaces image, new WorkSpaces could be deployed or rebuilt for students in around 20 minutes to over 40 WorkSpaces in the class. Prior to the start of the semester, each student received an email with instructions on how to log in and download the app. At the first lecture, Jeff asked the students to raise their hand if they were able to connect to their Workspace. “This was the moment I was dreading, but every student raised their hand!” Marty said. By using AWS, Jeff was able to focus on creating a course that provided hands-on experience whether in the classroom, in the dorms, or in the dining hall – on whatever device. “Students can study and work together on their projects anywhere, on Macs, PCs, and tablets. The flexibility for them is the icing on the cake,” said Jeff. Jeff was able to do live demos in the class and students could follow along in real-time, not having to take notes and do it after class, which provided a powerful teaching and learning experience. It also saved Jeff hours of time that would have been spent in office hours configuring computers and not working on the course material. “Students get real hands-on experience, using real industry tools with Amazon WorkSpaces. They aren’t just taking notes in class, but following me in real time. It gets rid of traditional classroom barriers,” said Jeff. In addition to several individual assignments focused on core skills, the students also participated in a team project. Project teams consisted of 4-5 students and each was one of three BI projects using real-world Cornell business challenges and associated datasets, such as transportation and dining on campus. “We can rethink how we teach with Amazon WorkSpaces. We can offer more to students – more interesting class content and more interactivity – without adding complexity for instructors. The sky is the limit,” said Jeff. 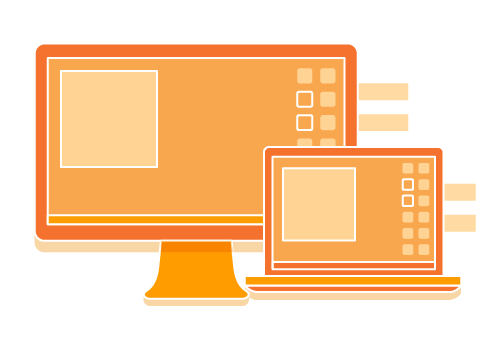 Learn more about Amazon WorkSpaces for Education.